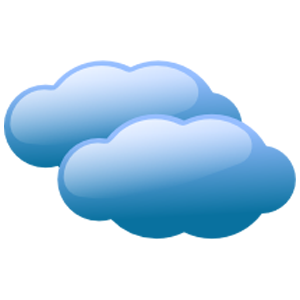 14.3°C Increasing clouds with little temperature change. 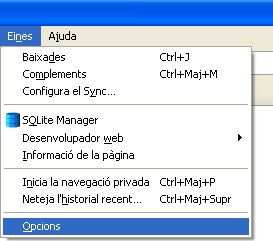 If you use Firefox click on the "Eines" menu and after on the "Opcions" submenu. Or you can accede directly from the button of the top bar. 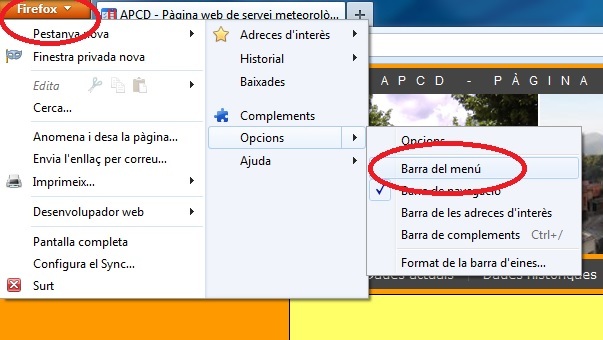 It is possible that you need to activate the bar of menus. 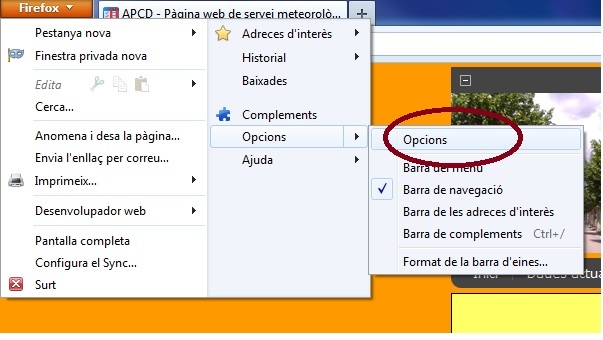 Click on "Utilitza les pàgines actuals" and accept "D'acord". 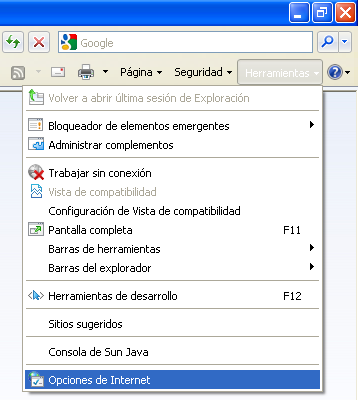 If you like to navigate with IExplorer then click "Herramientas" and after "Opciones de Internet". Click on "Usar actual" and accept "Aceptar".